Tepper and Bennett? Add German classical composer Johannes Brahms, for this song is a sort of pop version of his lullaby, "Guten Abend, Gut' Nacht," or "Wiegenlied" opus 49, no.4. Brahms was born in Hamburg, Germany on 7 May 1833 and died in Vienna, Austria, on 3 April 1897. "The song was written in honor of the birth of a child of Brahms's friends Bertha and Artur Faber in 1868. Years earlier, Brahms had briefly fallen in love with Bertha when she was a young visitor to his female choir in Hamburg, and during the playful courtship she used to sing him a lilting 3/4-time Viennese melody. The romance ended, but the friendship endured, and the melody that Brahms later composed for the private lullaby was a creative counterpoint to the earlier love song that the child's mother would remember singing to the composer. When he presented the gift to the Fabers, Brahms included this note to her husband: "Frau Bertha will realize that I wrote the 'Wiegenlied' for her little one. She will find it quite in order . . . that while she is singing Hans to sleep, a love song is being sung to her." Bertha was the first person to sing Brahms's Lullaby" From "Johannes Brahms: A Biography, by Jan Swafford (1997, Alfred A. Knopf, Inc.). 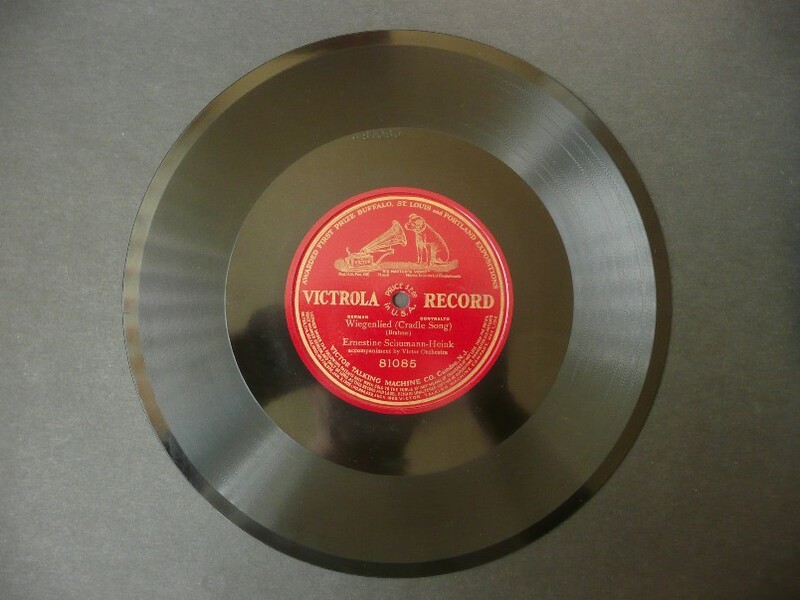 Schumann-Heink's recording was made in September 1906 and released on the single-faced Victor/Victrola Red Seal label, VBRS 81085 (VBRS 81083, an earlier take made on the same date, was not issued)..